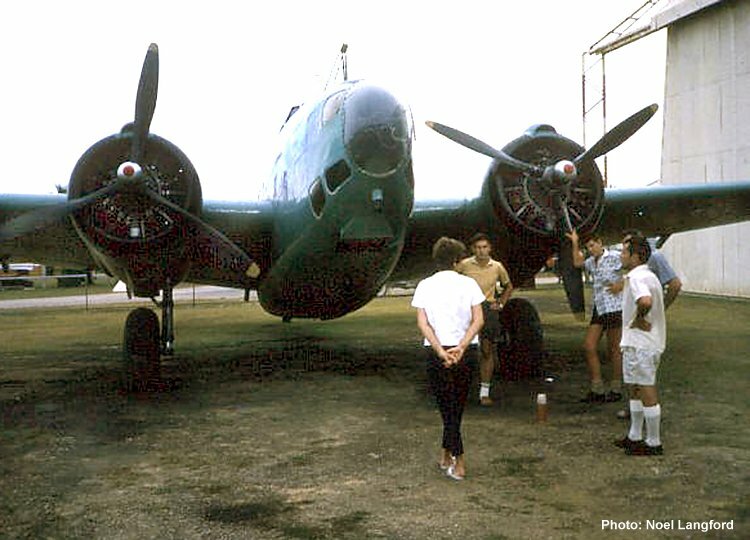 Hudson VH-AGX and her crew at Wewak, PNG c. February 1965. Lady with her back to camera is a local nursing sister who was also a pilot. Captain is Ken Rowlands (in white shirt).